Only two pictures today, I’m afraid. Spring seems late this year. It was 39 degrees this morning, with a high of 54 in the afternoon. 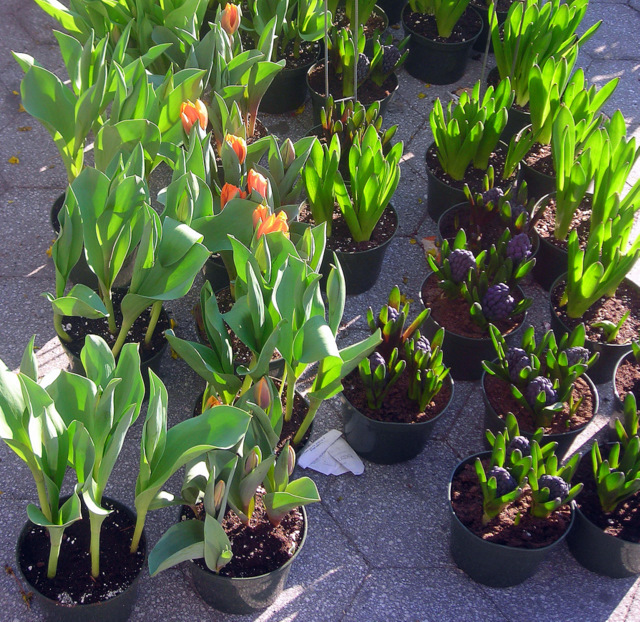 One of the vendors at Union Square Greenmarket expects ramps in two weeks; I know I’m looking forward to those. 02 Apr	This entry was published on April 2, 2011 at 6:31 pm. It’s filed under food, general, spring, Union Square Greenmarket and tagged farmer's market, flowers, roses, tulips. Bookmark the permalink. Follow any comments here with the RSS feed for this post. and lovely they are indeed.